Version 0.7 includes a big upgrade to rocket engine customizability, major improvements for building airplanes, and a whole lot more. This is the third round of beta testing. Hopefully the last. Most of the high-level, boss bugs have been vanquished. 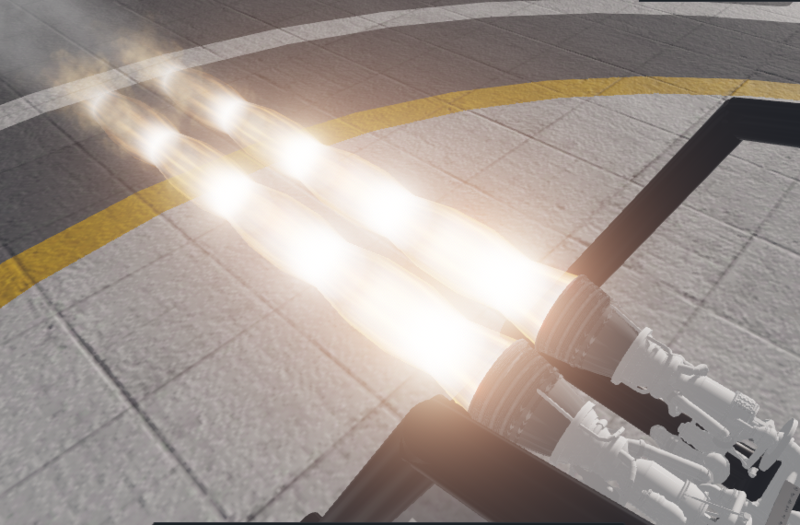 Added new nozzle called the 'Echo' that is available for the solid rocket engine type (inspired by the Space Shuttle SRBs). Reduced Isp of (most) rocket engines. Changed near clip plane to 1 meter in flight scene. Changed command pod's "Dock Reorients Controls" option to "Auto Config Controls"
The command pod's "Auto Config Controls" option now defaults to true. Tweaked starting camera angle in the designer to an angle that works well for both rockets and airplanes. Improved smoke trail drag behavior. Changed Stage Isp, Stage Delta V, and Stage Burn Time in flight view to no longer be dependent on the craft's current throttle setting. Updated stock crafts and crafts in challenges to use new rocket engines. Added the ability to tilt the game camera with middle mouse button drag. Darken smoke trails at night. Fixed a bug where the inspector windows could be dragged on top of the dialogs in the flight scene. Fixed issue which caused a craft's throttle to be reset to zero when switching between crafts. Re-open the performance analysis window in the same place it was closed instead of always resetting back to the original location. Fixed issue causing translate gizmo to no-longer work with connected translations. Fixed a bug with the designer tutorial where the fuel tank placement hints were incorrectly positioned. Fixed a bug that made it very difficult to dock. Fixed a bug where the smoke trail would get thicker when in slow motion. Changed how efficiency is applied to engine performance so that exhaust velocity jives with Isp. @AndrewGarrion So since simple panes was flying in does that mean simple rockets is taking off  also will there be weapons like lasers. 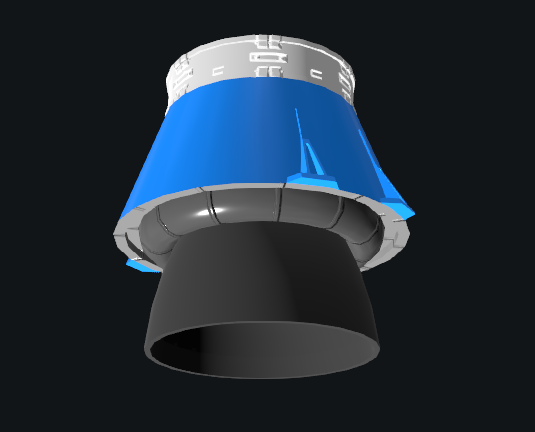 @MarioG next update will include new texture options for bell, cone and delta nozzles. @MorrissetteAirplaneCo yep it appears to be related to deleting wings with control surfaces. It will be fixed in the next update. im seeing alot of pink where i delete objects, is this from my local computer or is it game wide? @crowxe Right-click SimpleRockets 2 in your Steam Library, go to Properties, then the Betas tab on top, then opt into the Public Beta Testing from the drop down list. Remember, it's a beta, so it has bugs and can corrupt your save. i'm still on V 6.9.2 ! how do i get the update ? @MarioG There is a suggestion for that but it was never added to the “prospect” section of the roadmap. @AndrewGarrison do you think youll add astronauts or something of the sort? @Kell Planet Studio implies unlimited stock planets. All you should do is speaking out "No XML"
@MarioG Considering PlaentStudio is a big thing would be done soon, I guess there's no point adding more stock planets - It's like adding more stock crafts. More is better, but you don't particularly need them since you can download user created crafts. @AndrewGarrison one question do you plan on adding more planets or no? @Kell @Gregrox You guys are real sticklers for the thrust power. Hey, at least I'm not violating the laws of physics this time! I have been thinking about how it could work tonight, but it's not likely to happen as it would require significant code changes and (IMO) not a lot of benefit to the player. @AndrewGarrison I would strongly urge you to use constant thrust power for NTRs for this update. The NTR reactor should be identical between any different propellant modes, there's no reason why the reactor should be nerfed when using heavier propellants.